CCNP R/S Update | CCIE or Null! 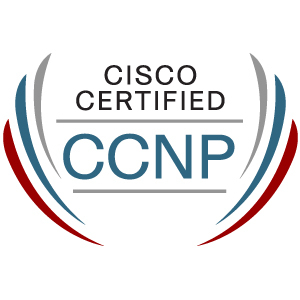 CCNP Exam update coming soon. Looks like the Cisco Certification team has been busy lately, earlier this year the CCNP: Security track got an update and recently an update to the CCNP: Route/Switch was just announced. Before you get too worried if you are currently studying for the current exams, you have until January 2015 before the current exams get retired. So you still have plenty of time to study. Much more IPv6 related topics. Mixture of the new Routev2 & Switchv2 Technologies. Looks like the newer CCNP: Route/Switch objectives are really going to focus on routing & switching technologies and less on other networking technologies. These new objectives also line up closer with the new CCIEv5. Now, I took the older CCNP exams (the old ONT, ISCW, BCMSN, BSCI) but it is interesting to see how these exams grow and evolve over time. I will definitely say I am surprised to see the removal of Wireless, Voice, & especially QoS from the CCNP: R/S exams. While I understand the CCNP: R/S should focus on well Routing & Switching, I also think it is important for engineers know of these other technologies especially QoS.